Bethwel Birgen (KEN) and Hellen Obiri (KEN) continued their excellent early season indoor from with convincing wins in the PSD Bank Indoor Meeting in Dusseldorf. 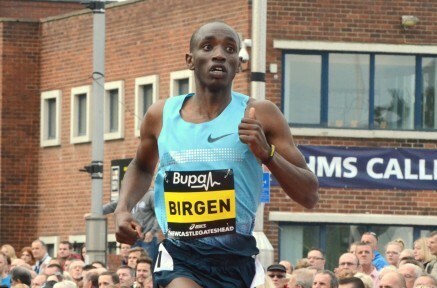 Birgen beat a world class Kenyan line up including Cheboi, Chepseba and Kiplagat in 3:39.05. World Indoor 3000m Champion Obiri was a runaway winner of the women’s 1500m in 4:07.01, three seconds ahead of the runner-up Embaye from Ethiopia. World and Olympic finalist Andrew Osagie (GBR) placed 2nd in the 800m in a personal best 1:46.48 behind winner Adam Kszczot’s 1:45.42 meeting record.